A friend picked this system up from the side of the road where it was part of a hard rubbish collection. 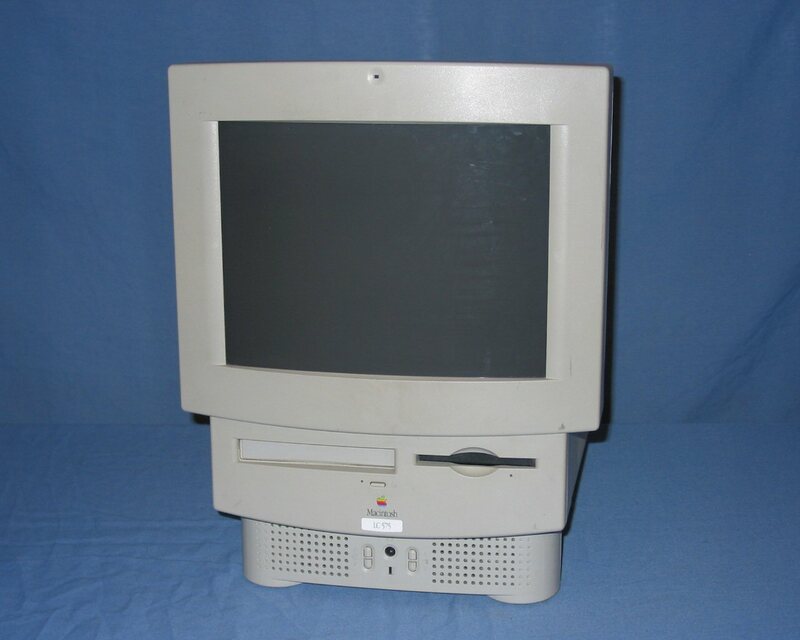 8 September 2009: Listed on eBay as Apple Macintosh LC 575, 20MB RAM, 1.2GB HDD. 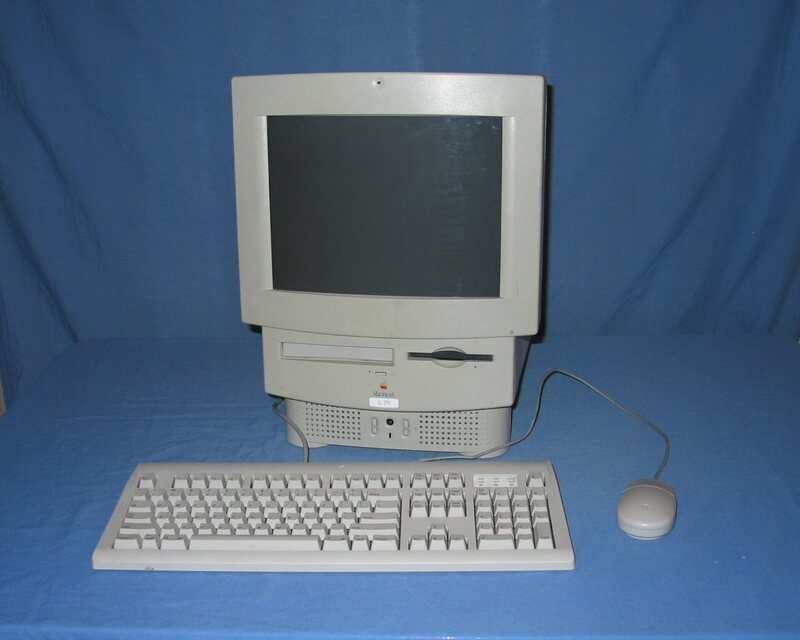 The unit is completely functional with the simple addition of a keyboard and mouse. 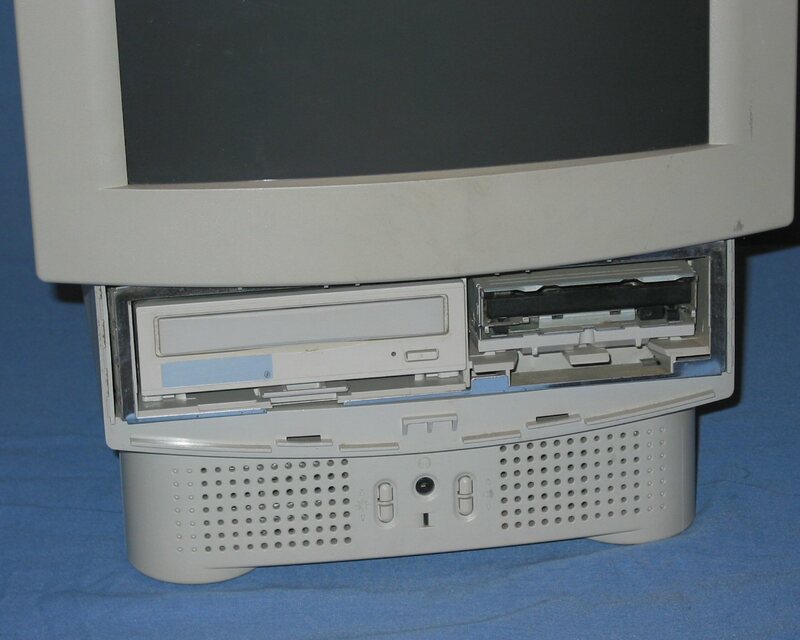 On the front of the unit immediately below the screen is the CD-ROM and floppy drives. Below them are brightness control for the display, headphone socket and the volume control. Above the screen is the internal microphone. 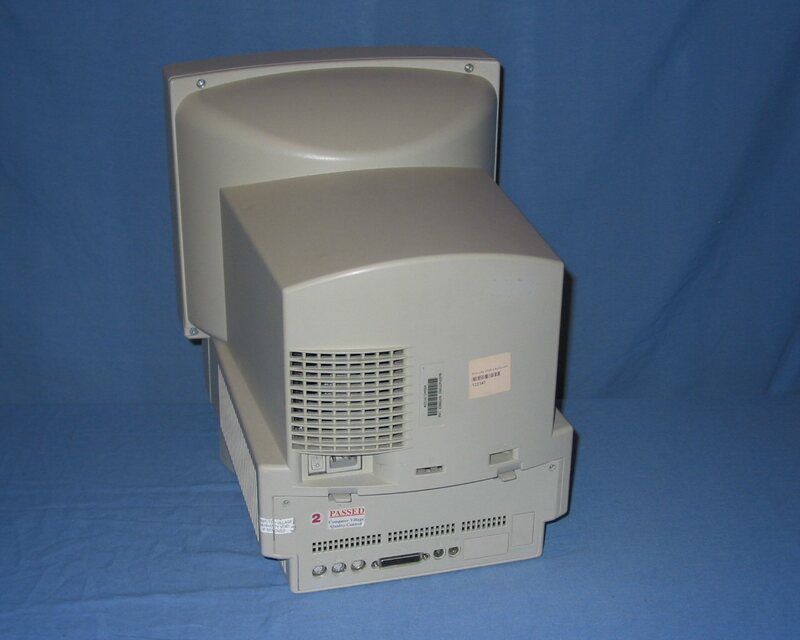 The rear of the system is irregularily shaped and features the standard array of ports across the bottom. Removing the back panel exposes the hard drive and logic board. To the right of the hard drive is a space that seems to be the right size for a TV tuner module which is not supported on the all in one LC models. 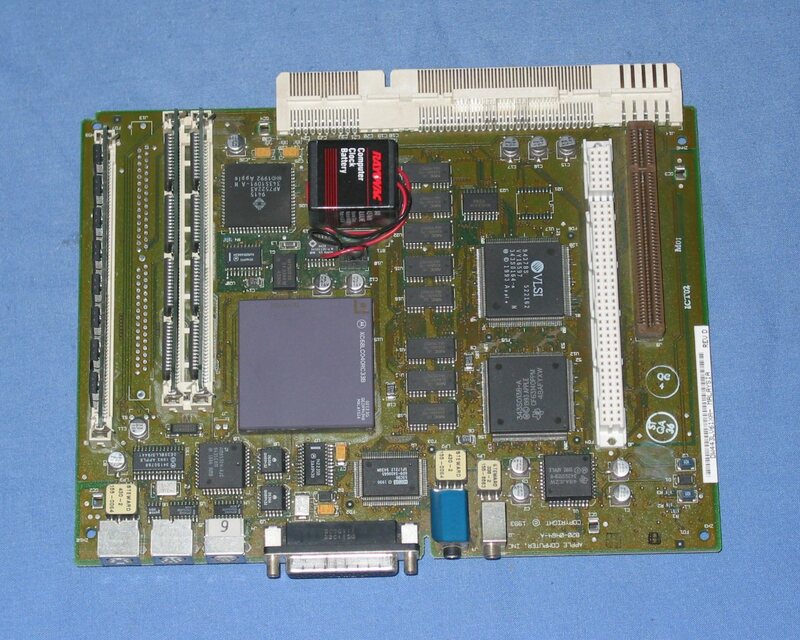 Logic board removed from the chassis. 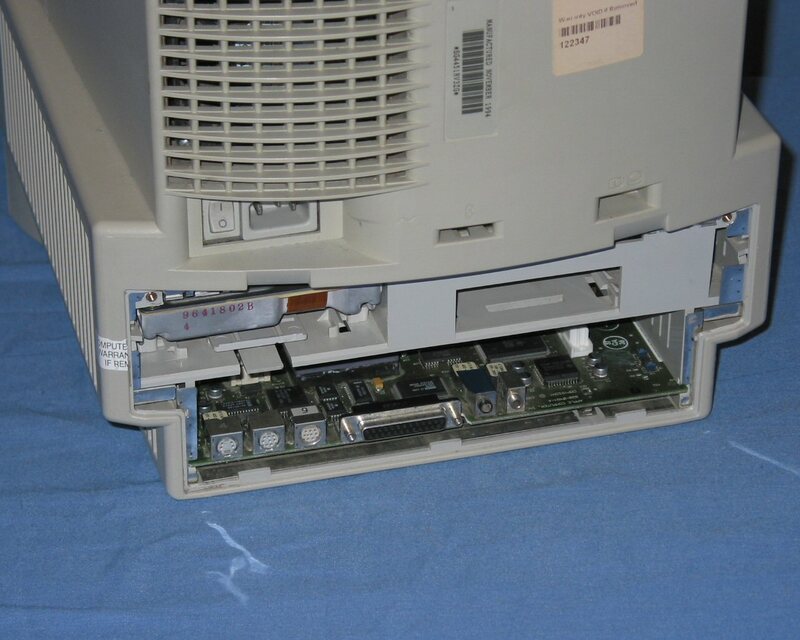 The front bezel can be removed to expose the CD-ROM and floppy drives. These are simply slid out of the chassis for replacement.